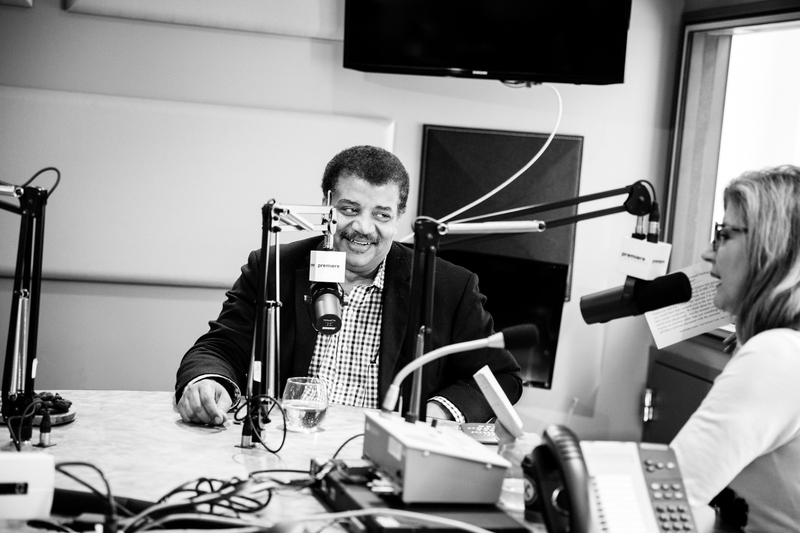 On part two of the most recent episode of The Thrive Global Podcast, Thrive Global founder and CEO Arianna Huffington sat down with astrophysicist and author Neil deGrasse Tyson to talk about fake news, the importance of curiosity and the connection between spirituality and science. As an astrophysicist, deGrasse Tyson’s job is to study and explain the truths of our universe. But in our digitally connected age, with vast amounts of information at our fingertips, both he and Huffington noted that it’s become harder to figure out what the truth really is and where to find it. Comparing the internet to the generally more vetted world of book publishing, deGrasse Tyson said, “There’s no such filter on the internet.” While that lack of a filter is “kind of what makes the internet a beautiful thing,” he said, it’s also helped lead to what many refer to as the post-truth era. And right now, we aren’t equipped with the analytical skill needed to separate fact from fiction, deGrasse Tyson told Huffington. “We are helpless putty in the hands of any nefarious forces operating on the internet,” he continued. If recent news is any indication, there are certainly nefarious forces at work online, showing how our minds are more malleable than we may like to believe. Two-thirds of U.S. adults get their news from social media, according to 2017 data from the Pew Research Center. This comes at a time when Facebook just confirmed that the company “sold ads during the U.S. presidential campaign to a shadowy Russian company seeking to target voters,” according to the Washington Post. The posts were apparently focused on “amplifying divisive social and political messages across the ideological spectrum—touching on topics from LGBT matters to race issues to immigration to gun rights,” Facebook’s chief security officer Alex Stamos said in a blog post. These advertisements most likely played a role in President Trump’s election and helped create our current climate of uncertainty, sensationalism and general distrust of the media. Since the election, Facebook has teamed up with news organizations like the Associated Press and FactCheck.org to help monitor factually questionable stories, but this also raises more complicated ethical questions like who decides what counts as free speech or censorship, and about the role human bias plays in creating the algorithms that dictate what we see in our feeds. The attention economy is the result of engineers and algorithms “steering a billion people’s minds,” Harris said, to keep us online, and often show us stories that confirm what we already believe. The ethics of this are complicated and the offline implications are profound: “Whatever goes into these set of stories is what people will be thinking and believing about the world,” Harris said. deGrasse Tyson connected this to our ability to keep an open mind, referencing a recent Daily Show episode where Trump supporters were asked what it would take for them to vote for Hillary Clinton. “They said ‘Nothing!’” deGrasse Tyson said. “That’s the mind that’s closed to big ideas,” Huffington added.